The two best teams in the NBA finally meet this season. This is going to be a good game. The two teams have been dominating the association for the entire year and I am very interested in this game because I haven’t seen enough of the Hawks. I don’t know what to expect because I don’t see the Hawks enough and even though I know who they have on the team and how talented they are, they still are somewhat of a mystery team to me. I don’t know if it’s because if they are a team from a weak conference or what. But tonight we will have a great matchup that might be a preview of the Finals. Let’s see what goes down. 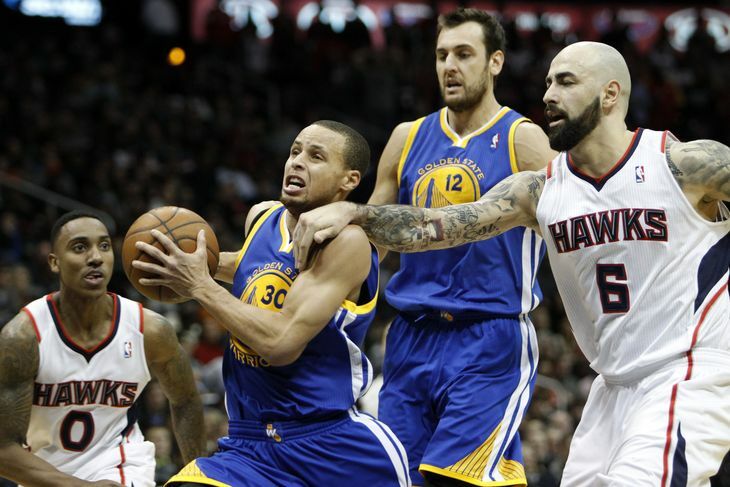 This entry was posted in Atlanta Hawks, Golden State Warriors, NBA and tagged Great Matchup. Bookmark the permalink.